It's finally the weekend whoo! 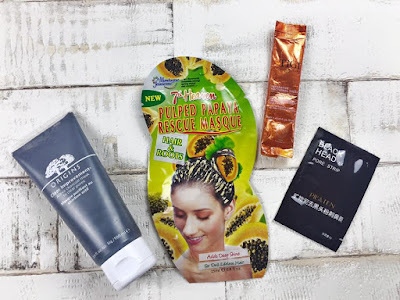 Today I thought I would so a pamper evening post. Although this wasn't my initial plan for today's post I though..Why not? My boyfriend Scott planned to go out with his friend to play pool tonight, which gives me the excuse to spend way too long in the bath and binge watching Netflix with a glass of wine...or three. 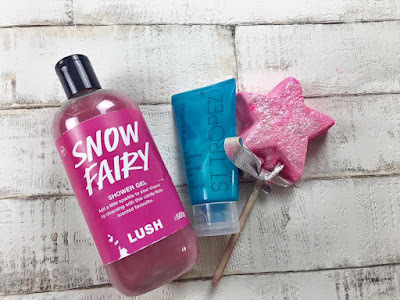 These are the products I am planning on using this evening, They are also the type of products I would use more or less every time I spend extra time pampering myself. To start with I am going to run myself a bath & do a black head 'mask'. I have seen a lot of people talk about these Asian black head miracle workers so I bought some myself. I have used to once before and it was ok but not really a miracle worker in my eyes. After i have finished peeling the black head mask off I am going to apply this Origins Charcoal mask. This has go to be my all time fave face mask. I have rather large pores and this has been the only product I have used to more or less 'fix' that problem for me! I will then choose one of the two hair masks I have and apply that too. When my bath is about done I am going to use the Lush Magic wand. 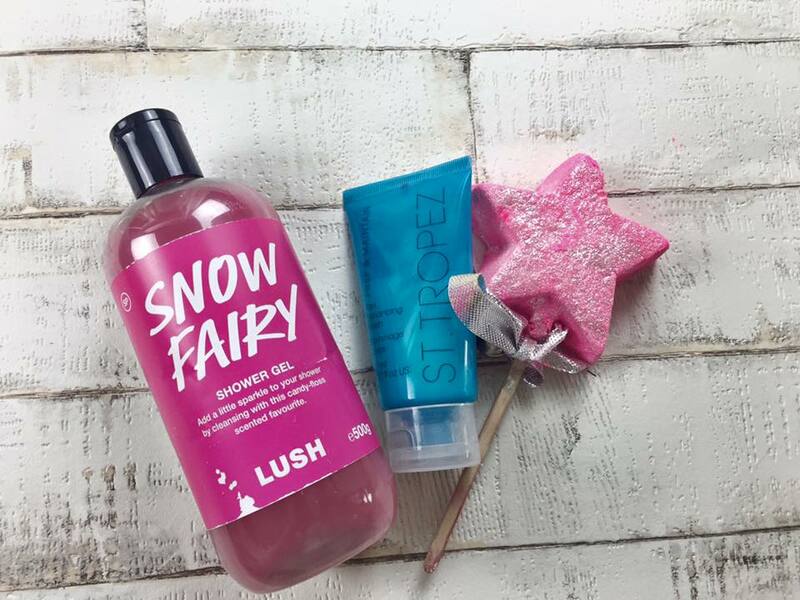 I haven't yet tried this but I'm most excited because I LOVE the scent Snow fairy. I will then use Snow fairy and this St.Tropez scrub to take off my current fake tan. Once I've watched plenty of YouTube and my bath is probably starting to get cold I will hop in the shower to rinse the hair mask. After getting out of the bath I will use my St.Tropez Skin polish to prep my skin for tanning, I will then use my St.Tropez tan (I really need to get the full sized version of this its my new fave!). I will then put on some really comfy pyjamas, sit on the couch and put on Netflix. Whilst watching, most likely Gossip Girl, I will paint my fingernails and toes, I am going to use this purple shade from Barry M (I love to match my fingers and toes). I will also put on this Travelmate face mask as it is for putting moisture into the skin which I really need! I will then Then apply hand & foot cream once the polish is dry and also some OPI cuticle oil. No doubt I will continue to watch Netflix until I'm ready for bed. 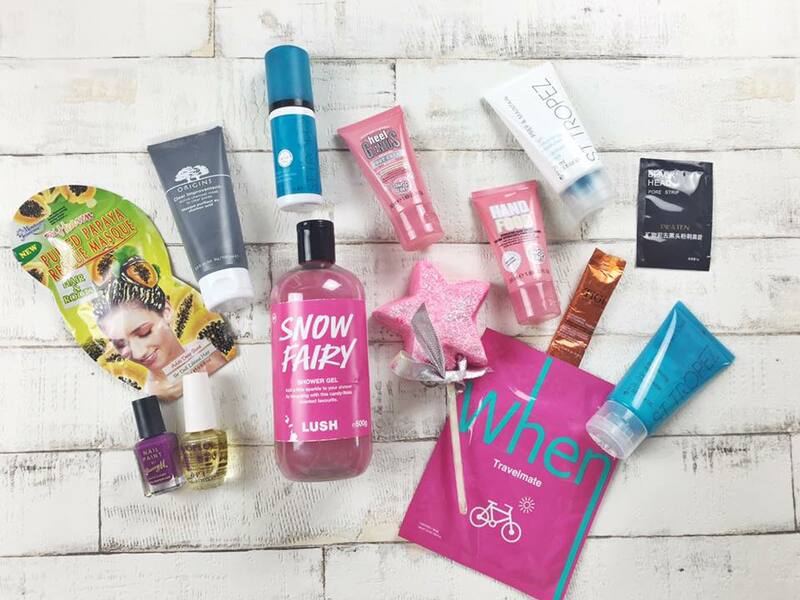 What is your favourite thing to do on a pamper evening? Sounds like a good pamper night to me! I'm obsessed with the Lush Magic Wand! I got it in the Boxing Day sale and it's amazing!